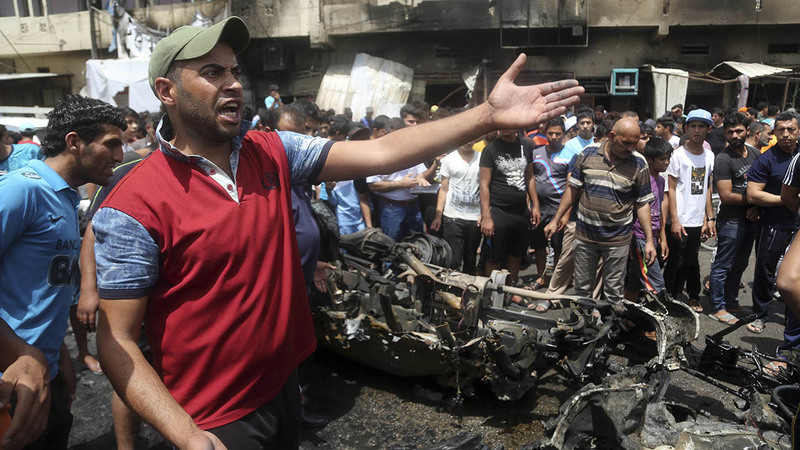 BAGHDAD -- Iraqi police and hospital officials say two additional bombings in Baghdad have left more than 25 dead and 56 wounded Wednesday, bringing the day's total death toll to 88. A suicide car bomb targeting a police station in Baghdad's northwest Kadhimiyah neighborhood killed 18, of whom five were policemen. The attack also wounded 34. In Northern Baghdad a suicide car bomb in the neighborhood of Jamiya killed seven and wounded 22. Earlier Wednesday a car bombing of an outdoor market in Sadr City killed at least 63 people. All officials spoke on condition of anonymity as they were not authorized to brief the press.